Back to back Ironman World Championship winning and record braking performance, the HADRON Ultimate 800 is ideal for time trial and triathlon racing. With their deep profiles, these wheels are engineered to deliver maximum speed and thrust in medium to low wind conditions. Available in both rim brake and disc brake versions, the HADRON Ultimate 800 is the benchmark for aerodynamic performance. UCI approved. "Let’s start out with just our initial observations. When we unboxed the wheels, there was just something about them. We get this is totally subjective, but we really liked the look and feel of these wheels. They felt special and unique. To slow us down Swiss Side sticks with the highly proven Black Prince Flash Pro pads. We would say braking was good – but not great (in the dry at least – South Florida spared us any showers during our ride time with the Hadron Ultimate so wet braking testing unfortunately did not happen). A few years ago, the braking performance of these wheels would be top of the pile – near Reynolds Cryo Blue. The thing that impresses most is the value of the Hadron Ultimate’s. For 1868 Euro (or just above 2K in the US) you get an all carbon wheel with a top of the line aero package, solid internals including aero spokes and ceramic bearings, and good braking. That’s a pretty hard number to beat and probably the icing on the cake for someone debating buying them." "Constructed in partnership with DT Swiss, using aerodynamic principles from F1 race cars, the Hadrons are a deep 80mm carbon clincher that tips the scales at 1,727g for the set. According to Swiss Sdie, these wheels perform best with high yaw angles - around 17 degrees - meaning they are faster with a moderate side wind. 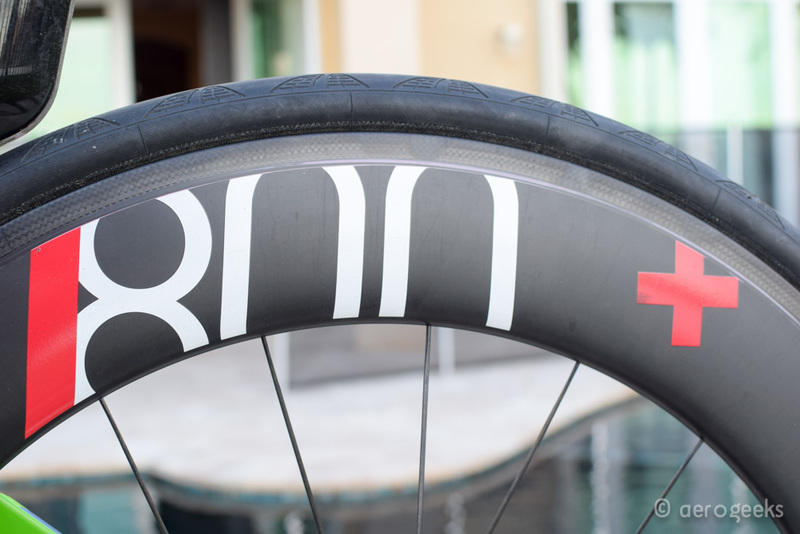 We also found them to be some of the most stable wheels in crosswinds at this depth, so it's no surprise these are an excellent choice for the blustery lava fields of Kona - or those nightmare conditions at your "A" race." Pushing Limits tested our new HADRON Ultimate 800 aero wheels for over 1000km and was impressed by "THE NEXT STEP" of the new wheel generation! Verdict: A truly great wheelset that is lots of fun riding! Top aerodynamic performance, high quality and with DT Swiss components. You would not want anything more from a new set of aero wheels! Read the entire review in German at pushing-limits.de. Check out the new Triathlon Magazine with a product review on the NEW HADRON Ultimate 800 aero wheels. "The new HADRON Ultimate 800 aero wheel set, prooved to be very fast and stable during our test rides. After two month of riding the wheels they still look brand-new. The braking performance in wet weather, due to the carbon surface, is average. But there is also a disc brake version available. Interesting: You can mix and match the different rim depths. Also check out the HADRON Classic version of this wheel set, which is EUR 500 less expensive." "Verdict after 1500km: A great wheel set with all options. Made in Europe!" 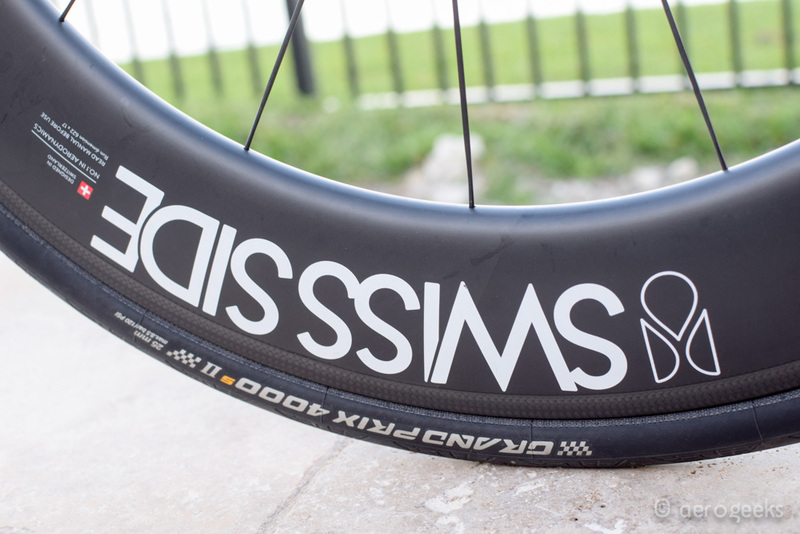 Jan Peiniger, triathlete, outdoor enthusiast, tech-nerd and star blogger tested the Swiss Side HADRON 800+ aero wheels for an entire year and wrote an extensive long term test report about the wheels. Jan recommends the Swiss Side wheels to anyone that is interested in a high-end wheel set: "I only have good things to say about the HADRON Ultimate 800+ wheel set after riding them for an entire year. The wheels feel great and made it possible for me to finish the Ironman in Köln under 10 hours. Even in windy and difficult conditions the wheels stay very stable and manageable. You cannot go wrong with Swiss Side aero wheels. The price - performance is outstanding!" Excellent verdict after the tri2b longterm test. "Great package, great look and awesome sound. I am really happy with the HADORN Ultimate 800+ areo wheels and I am looking forward to the next race", says tester Peter Nowak. He will be racing with the Swiss Side HADRON Ultimate 800+ on Oct. 14th 2017 at the Ironman World Championships in Kona, Hawaii.